GET SMASHED…OR BE SMASHED! 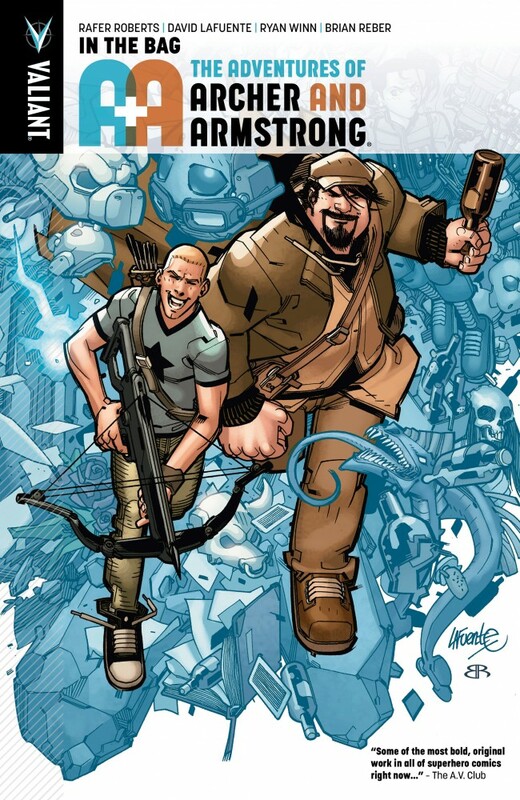 Valiant's (somewhat) dynamic duo are going 'IN THE BAG' for AN ALL-NEW ONGOING SERIES from rising star Rafer Roberts and comic book superstar David Lafuente! Meet Armstrong: Since the ancient city of Ur, this immortal adventurer has spent the last 7,000 years drinking and carousing his way through history alongside some of the greatest merrymakers the world has ever known. Meet Archer: A sheltered teenage martial arts master and expert marksman that was raised for a single purpose - to kill the devil incarnate. Little did he know that this undying evil was actually Armstrong (he's actually a pretty good guy…once you get to know him) and, since hitting the road together, the two have become great friends and even better partners. Now: Archer is about to set off on his most dangerous mission yet - a quest into the mystic reaches of Armstrong's bottomless satchel to liberate his friend and comrade from the clutches of the mad god Bacchus! (Okay, so, Armstrong went into the satchel himself to get a bottle of whiskey that he kinda misplaced and got stuck. It's like the Amazon warehouse of arcane treasures in there…and he doesn't exactly have a maid service.) 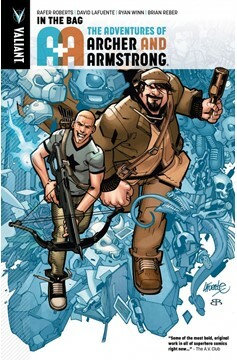 Imprisoned in Armstrong's satchel for centuries, Bacchus now commands a legion of monsters, goblins and golems bent on escaping back into the world of man and enacting revenge on their captor… Can Archer single-handedly combat the godly embodiment of intoxication himself - and rescue his best buddy - without becoming lost amongst Armstrong's endless repository of bizarre artifacts and historical oddities in the process?.